Digital Marketing Trends In Hospitality Industry – The Hospitality domain is a multibillion Dollar industry. We have seen a good growth in chain of hotels and tourism globally. When hospitality was mushrooming, digital technology surely paved its path in. Digital Marketing is the new fad in business arena. Those who embraced it are enjoying its profit. 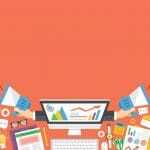 We have listed the latest digital marketing trends in hospitality industry 2017. Internet is taking over the world. India has been seeing a dawn of 3Gs and 4Gs and I bet it wasn’t easy for you to escape it. Technology has advanced and online is the new mortal trend. The hospitality industry is some of the widest users of IT services over the years. To make a certain promotion you need to have an online presence. 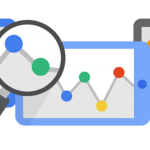 More than 90% of people worldwide connect with hotels, motels, resorts, tours & travel services through web searches. Even when you have the online presence, do you still wonder why you aren’t getting the leads & results? The marketing strategies should be revived & redefined in order to get the good results sooner. 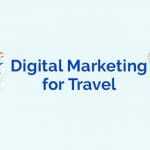 In this blog, you will know some good digital marketing trends in hospitality industry. Comparing prices and sharing the reviews has been the first thing a customers would see about your hospitality service. Web portal like Trivago, KAYAK, PriceGrabber etc has been a platform for them. The better you will be reviewed online; the better will be the return. Digital marketing enhances the aspect by making your presence everywhere and your services will generate the feedbacks. The services of Digital Marketing helps you get on the high ranking searches which float on the first page. Did you know 70% of people never turn to second web page for searches? Yes! It is true. If you want better income, you need to be on the top searches. Digital marketing helps you achieve it along with transforming visitors to customers. Strategies are many but enhancing and upgrading them according to the trend is very important. 2017 has started and is at full rush to make the world digitalized. 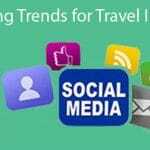 We have listed some digital marketing trends in hospitality industry that are trending in 2017. Majority of the world population is on their smart phones. With more and more better features being added to the stock, you have to own an app or a website that is mobile-friendly. All the features of a laptop or computer have now minimized and performed by tablets and smart phones these days. They are handy and are owned by majority of people. Digital marketing focuses on the aspect that your website is mobile friendly. The services include optimizing to a level of easy utilization. You can opt for investing in an app for making customers convenient to access like online booking, views and other facilities. Content is the new SEO. You can get 434 index pages if you regularly publish contents. This enhances the look of the website and people can take more interest. Digital Marketing creates a relationship with your new customers through link building, social sharing, Inbound and outbound links etc. People share their views on a particular adventure or experience they had. It is good to have your own blog and social media page like fan page etc for making platform for your customers. Include the latest and best pictures of your place. It is important for you to be active and fully responsive to people. Majority of the customers rely on reviews being said online. The main purpose of people going online is to make researches of a particular airline or hotel. Maintaining a warm and cordial relation is very important. Be responsive to the entire positive to negative reviews. To make monitoring easy, you can rely on apps like TrustYou, Flip.to. etc. If ypu don not keep you website updated, you will surely loose the benefits one by one. It is best to optimize your content and website regularly. Carousel is a good feature of Google. It displays the picture of your hotel or airline on top of the page. You can create a Google+ profile and maintain it properly. The higher and better the optimization, the better you will be ranked. You can even get to feature on the carousel feature of Google. Hospitality industry is growing. A chain of hotels, airlines, bars, clubs etc can be seen nowadays. The online presence is increasing and shaping the world of consumers globally. 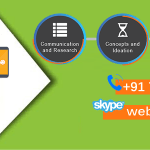 WebHopers is a complete solution for all your digital marketing issues. Connect with us now.